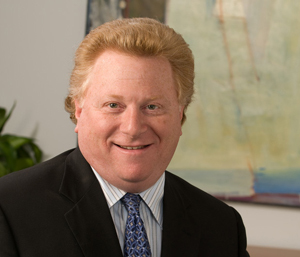 Glenn is a nationally recognized commercial litigator, focusing on complex business and corporate litigation, real estate and construction litigation, finance litigation and fiduciary (disputes involving trusts, estates, wills and probate) litigation. Glenn’s forte is breaking down complex corporate and real estate disputes and working with clients to develop winning strategies. His approach is goal oriented – it’s not about litigation for litigation’s sake, it’s about achieving a goal for the client. Glenn has been appointed by the chief administrative judge for the Circuit Court of Montgomery County, Maryland to act as a mediator for the court. In 1995, Glenn made law in the state of Maryland, in the noted case of Kalkreuth Roofing v. West Pointe Plaza II, 109 Md. App. 569, 675 A.2d 715 (1995) cert. denied, 343 Md. 564, 683 A.2d 177 (1996), wherein he prevailed before the appellate courts in a reported opinion, to change the way mechanics liens are pled in Maryland. He also made law in another reported opinion before the Appellate court, Messina v. Krakower, wherein the Court sided with Glenn in upholding the absolute privilege in confidentiality matters. And, he has further argued before the Court of Appeals, Maryland’s Supreme Court, regarding Maryland legal policy interpreting Trust Documents.